Next RYT 200 ISHTA Yoga Teacher Training in Finland will take place in Summer 2019. The training is in intensive format during six weeks consisting of three weeks and three weekends. See the dates below. *All prices are inclusive of VAT 24%. Training Location: Edbh by Hautomo dance and yoga studio, Merimiehenkatu 29, 00150 Helsinki. ISHTA Yoga offers 200-Hour and 300-Hour Yoga Alliance certified teacher training programs, as well as a variety of specialty programs for teachers and trainees. We provide a uniquely modern, individualized, and integrated approach to the ancient science of yoga. 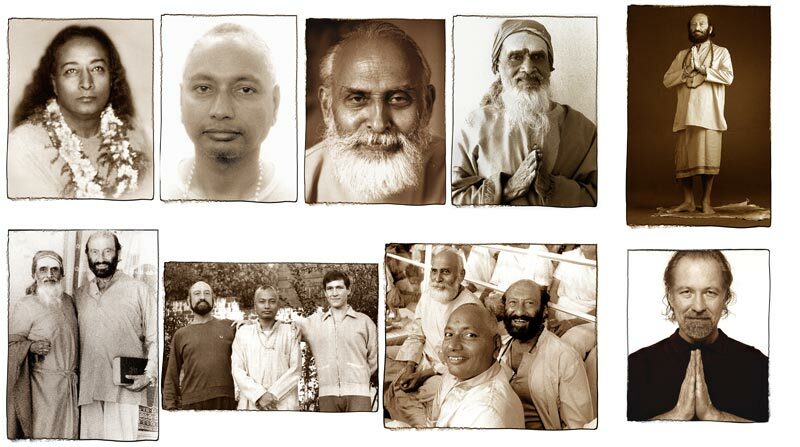 The ISHTA lineage and teachings provide a comprehensive foundation for all aspects of yoga. We cover asana, the practice and teachings of the subtle and causal body anatomies, pranayama and kriya techniques, meditation, Tantric philosophy, and Ayurveda (the ancient Indian science of life). Through in-depth daily asana practice, posture labs, practice teaching, anatomy, and lectures on topics ranging from the energetic bodies to neurophysiology, the ISHTA-trained practitioner is able to approach and embrace yoga in all of its forms. ISHTA Yoga trains its teachers to acquire and master the skills needed to excel in group classes of all levels, private lessons, corporate lessons, and specialty yoga classes. ISHTA trainees emerge from training feeling confident and ready to practice and teach what they have learned. ISHTA supports all personal journeys – from those simply looking to deepen their personal practice to those who envision yoga as a career. Application in English. Download and fill the application. Save it a pdf and email us at info@ishtayoga.fi. Terms and conditions 2019 Read carefully. By signing the application you state that you agree. Once you have successfully completed all requirements of the training (100% attendance or completed makeups, 100% completion and passing grade on homework, passing mark on written final exam, and passing evaluation on final practical exam), you will receive a graduation certificate and the necessary paperwork to register with Yoga Alliance. 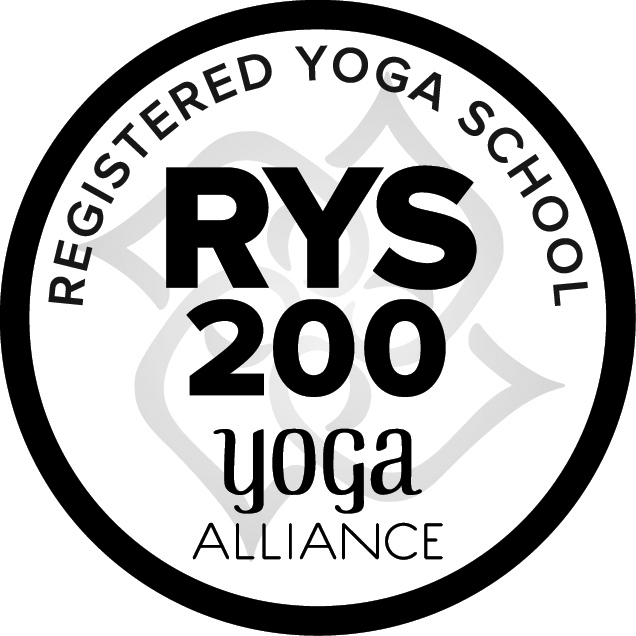 More information about Yoga Alliance registration is available at http://www.yogaalliance.org. A 500€ non-refundable deposit is due upon acceptance. Remaining tuition is due no later than two weeks prior to the training start date. In extenuating circumstances, a payment plan may be arranged. My yoga journey has begun 30 years ago, however as a plus size yogi I have never had the courage to join any teacher training until I attended wonderful ISHTA classes in Helsinki. I really felt included and the message that yoga is for everyone truly resonated with me, so I joined the training in summer 2018. This was one of the best things that happened to me in a long time, a life changing experience. Our amazing teachers Aino, Mikaela, Peter and Wendy gave me the tools not only to teach and share yoga but to live yoga every day. The teachers are all ISHTA Yoga trained and teach in a very confident and inspirational manner. The well rounded curriculum is well thought out and challenging. It really helped me grow not only as a practitioner of Yoga but opened me up to a whole new world of Ancient teachings and Philosophy. 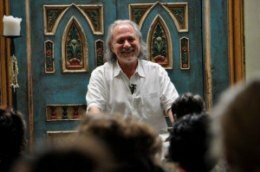 Created for yoga teachers who received their 200-Hour certification in a program outside of the ISHTA lineage, the ISHTA Bridge Program consists of approximately 30 hours of lectures given by Yogiraj Alan Finger and senior ISHTA teachers. For teacher trainees coming to ISHTA from another yoga school, the Bridge Program is a requirement for entrance into the 300-Hour program. The program is also a great option for practitioners who are interested in deepening their knowledge of yoga and the ISHTA lineage without enrolling in the full teacher certification program. ISHTA Bridge program qualifies for Yoga Alliance Continuing Education. The ISHTA Bridge Program is offered in conjunction with each ISHTA 200-Hour teacher training program in Helsinki. See dates and rates above. ISHTA Yoga, founded and created by Yogiraj Alan Finger, is a community of like-minded people with a heart-centered approach to life and generosity of spirit. Blending the ancient and contemporary sciences of Hatha, Tantra and Ayurveda, ISHTA caters to the individual student’s needs with intelligence and authenticity. Whether you are looking for improved strength and flexibility, clarity of mind, or a deeper spiritual practice, we provide you with the tools needed to bring inspiration into every moment of your being. Senior E-RYT 500 ISHTA Yoga teacher Aino Siren and RYT 500 ISHTA Yoga Teacher Mikaela Soldan are Finnish yogis who have studied with Alan Finger and other ISHTA Yoga Teachers and Yogirajas. They are thrilled to bring ISHTA Yoga to Finland in form of specialty yoga classes, workshops and trainings. The first RYT 200 ISHTA Yoga Teacher Training took place in Helsinki in the summer of 2017 followed by the second training in 2018. 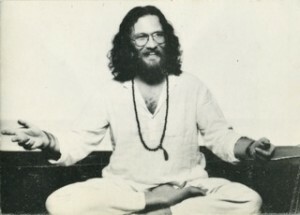 In the training students study with experienced yoga teachers and yoga masters, who will offer their inspiring teachings on the ISHTA tradition; tantric yoga philosophy, ayurveda, pranayama, kriya techniques, individualized asana and sequencing, to name a few. Created for students who wish to deepen their knowledge about ISHTA yoga, the ISHTA Immersion Program consists of approximately 30 hours of lectures and unlimited asana classes at the ISHTA Yoga Pop Up Studio during the training . The program is also a great option for practitioners who are interested in deepening their knowledge of yoga and the ISHTA lineage without enrolling in the full teacher certification program. This means, that you will not receive a certificate for the teacher training and will have to complete the full training in the future, if you wish to become a RYT 200 Certified ISHTA Yoga Teacher. + unlimited asana classes with ISHTA Yoga Senior Teachers and Yogirajas during the training at the ISHTA Yoga Pop Up Studio in Helsinki. The ISHTA Immersion Program is offered in conjunction with each ISHTA 200-Hour teacher training program and bridge program in Helsinki. See dates and rates above. ISHTA means that which resonates with the individual spirit and is also an acronym for the Integrated Science of Hatha, Tantra, and Ayurveda. Hatha: From ‘ha / tha’ or ‘solar energy / lunar energy’ in Sanskrit, originated in the Tantric period. Hatha Yoga is the physical practice of asana, or yoga postures. Hatha also refers to the science of strengthening the weaknesses in an individual and removing the stress blockages in our systems. Tantra: From the root words ‘tanoti,’ ‘expansion,’ and ‘trayati,’ ‘liberation.’ Tantra is the belief that our essential nature is divine, perfect as it is, part of the universal consciousness, and filled with bliss. The practice of Tantra increases our awareness of this state of total liberation through acceptance of ourselves and everything around us. Tantra gives us many tools to achieve the understanding of our true selves. In the ISHTA practice, we focus on asana, pranayama (breath work), kriya techniques and visualization meditation, as our primary tools. Ayurveda: From the words ‘ayur’ which means ‘life’ and ‘veda’ which means ‘science.’ This ancient Indian tradition teaches that we each have a constitution, or prakriti, that is unique like our fingerprints. 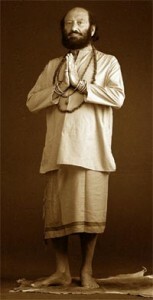 According to ayurvedic thought, the ideal practice begins with understanding the individual’s unique prakriti and their needs based on the interplay of that constitution with their current situation. For example, stress, injuries, or changes in life or work all impact what practice is ideal for you at a given moment. Ayurveda in the ISHTA practice encourages self-exploration and an awareness of the impact our circumstances have on our physical, emotional, and energetic states. We seek to understand how to best create balance in our lives and accept who we are.